Other than radishes, growing green beans is about as basic as it gets. Reliable, productive, tolerant of poor soil and tasty, they are one of the first crops any new gardener should try. Today I’m focusing on bush green beans since they’re drop-dead easy. No trellises, no drying, no shelling. Plus, quite a few can be grown in a small space. I was six and went to the store with Dad to buy some seeds. The yellow beans caught my eye… we bought them… and they went into my very first garden. 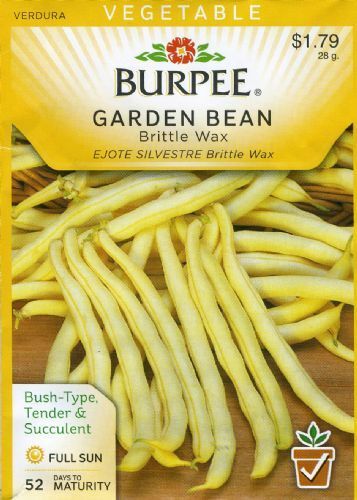 Burpee’s “Brittle Wax” beans. I’m still growing them today because they’re consistent, productive and taste good. 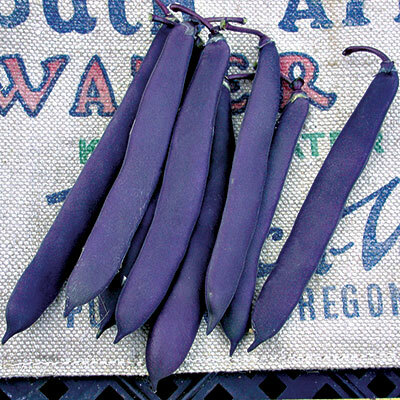 They’re not the most flavorful bean we grow, but they look cool. Beyond varieties – let’s talk about culture. Beans like warm weather and will not stand freezing temperatures. 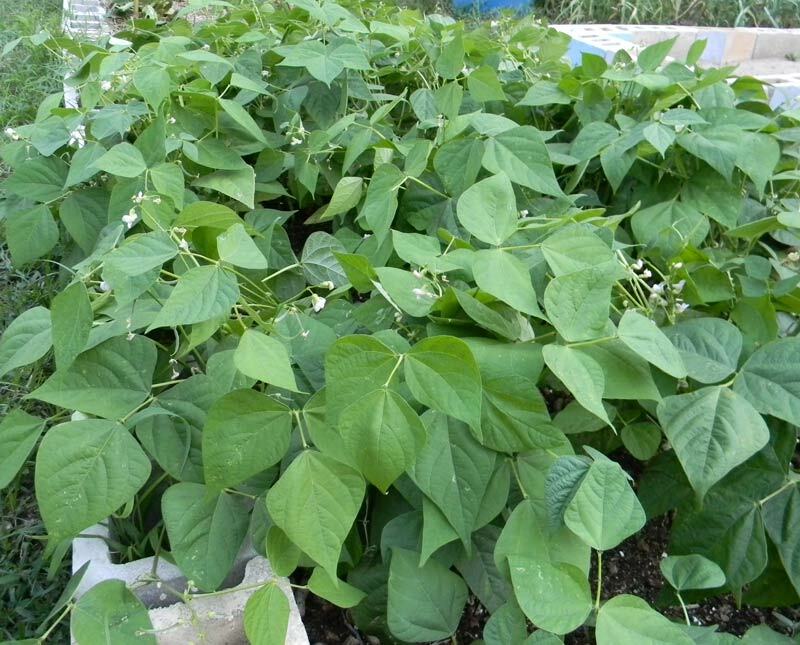 Bush beans do not have the strong root system of pole beans, so they need a bit more water to stay happy. Plant your beans 1″ deep and about 6″ apart in rows roughly 12″ apart and you’ll do fine. In a week or less, they’ll pop up and it’s off to the races. 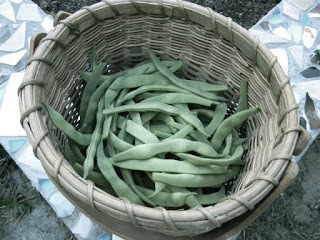 This little bed produces enough beans that you could serve them a few times a week. 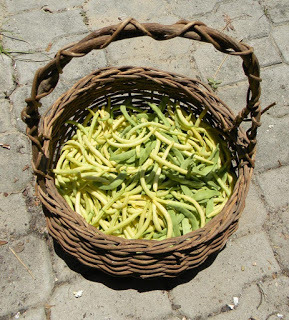 Beans usually start producing pods in less than two months – and once pods start getting to picking size, keep them picked. 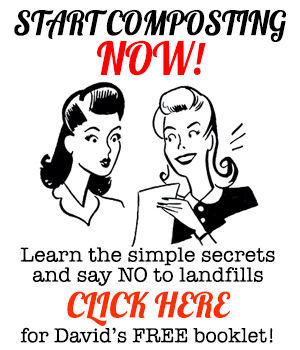 If you don’t, the plant will give up producing new pods. We planted a few small beds of beans this year and we’re getting baskets of beans right now. Enough to eat every day, share at church and probably freeze as well. Bush beans can be sown multiple times through the warm season and you’ll get more beans that way. Plant a new bed every three weeks or so and you’ll be rolling in tasty pods. As for pests, you’ll get stink bugs and maybe bean beetles later as the summer progresses. I don’t worry about them unless we get a total plague. One year the bean beetles totally chewed through a bed I’d planted. Fortunately, we’d already harvested plenty of beans. 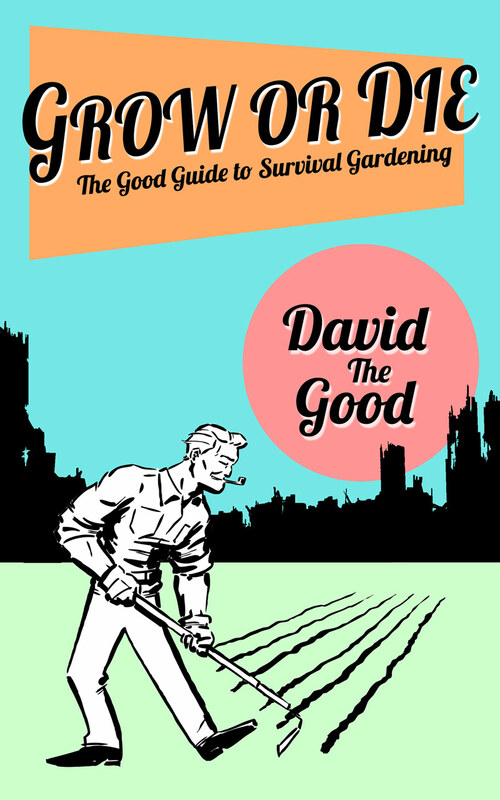 It was my own fault they went nuts, though – I had planted the bean bed in a monoculture. Nice, even rows for the beetles to feast upon… nothing but beans for miles, man. If you get problems like that, I’d just just bury the plants 12″ or deeper under some other crop area, bugs and all, wait a bit, and start over again. Or burn them. Or chuck them over the fence for your chickens to mangle. No big deal. Seed is cheap and beans grow fast. 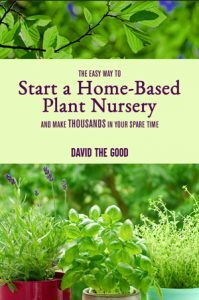 Beans are also a nitrogen-fixer, so planting them in front of demanding crops and on new ground is a great way to give your garden a boost of fertility. I throw beans into empty corners during the warm season, just as I do with peas during the cool season. They’re tough enough to thrive without much care… and they feed the ground? Yep. All aboard the bean train! But… the best thing about green beans? Letting your kids eat them right out of the garden, sweet and sun-warmed. When I pick a basket, I always acquire little “helpers” who wish to eat the beans. And since the pods are pesticide-free, nutritious and abundant… who am I to say no? Storability: Poor. Freeze or can to preserve.